Junction Juniors are led by Chad and Blair Allen. Class is held on Sunday mornings. Lessons are taught to help teens navigate this special time in their life. During class our Junction Juniors are busy playing Ping-Pong, basketball, roping the dummy, or just hanging out before settling in to receive the lesson from Gods word. Chad and Blair provide loving guidance, caring leadership, and Gods word to help teenagers discover and stay on the unique plan God has for each one of the youth in this class. Activities are planned throughout the year to provide a place for the students to connect. Junction Juniors participate in unique activities like cook-outs, concerts, and special outings. 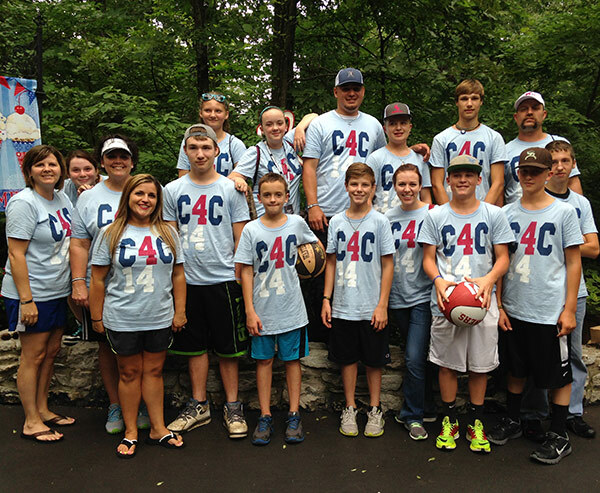 Each summer Junction Juniors take off for a week of camp to soak up Gods word and get recharged. This is a great group of young adults who will be the next generation of Godly men and women who will lead the church, our community, and the nation.